← More vintage cars and girls. 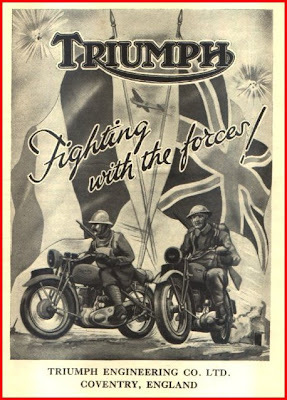 Triumph Engineering Co. Ltd.: British Speed. Born in Nuremberg Germany in 1863, Siegfried Bettmann arrived in London in 1883: fluent in several languages he went to work as a foreign correspondent and translator for the White Sewing Machine Co. Recognizing his enthusiasm the company promoted him to a sales representative position in northern Europe where he developed contacts in the manufacturing industries, and putting those to his own use he founded S. Bettmann & Co. Import Export Agency in London to sell German sewing machines and other imported goods in 1884. Within a year Bettmann had added a line of bicycles made by the Birmingham firm William Andrews and re-branded under his own name. The bicycles proved popular but he wanted a label that felt more “energetic” and could readily translate to other languages: in early 1886 he changed the business name to “The Triumph Cycle Company Limited”. In the course of his London business he met fellow German Mauritz Schulte, an engineer with a shared interest in bicycles who convinced him to begin production of their own machines. Bettman took Schulte on as a partner, and armed with some minor investment capital from their relatives they began looking for a production facility in a location more affordable than London. In the 18th and 19th centuries the Midlands city of Coventry, England was known for watch and clock manufacture, but the industry had gone into decline due to Swiss competition. This left a skilled pool of local workers as well as several available factories in the area, and other bicycle companies had already started production there. In 1888 Bettmann and Schulte acquired the buildings of a small ribbon-weaving works on Much Park street: the company headquarters was quickly moved from London and their first original Triumph bicycles began production the following year. The internal combustion engine had become more reliable and useful since the late 1880’s and Bettmann and Schulte soon began to consider adding motor powered bicycles to their range of products. 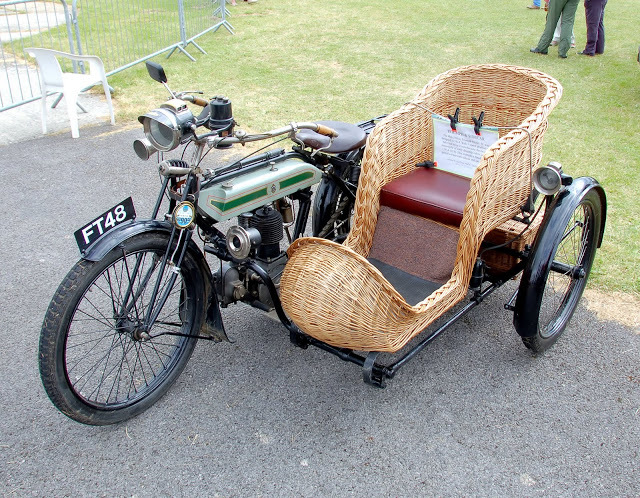 Their original plan was to build either the Hildebrand & Wolfmuller or Beeston Humber motorcycles under license, and in 1895 they imported a H&W from Munich for testing. But due to various complications both of these plans were discarded; at Schulte’s suggestion they decided to produce their own motorcycle, and in 1902 the ‘No 1’ was designed by Mauritz Shulte using a strengthened bicycle frame with a 2.25bhp single cylinder Belgian Minerva engine (later models utilized the J. 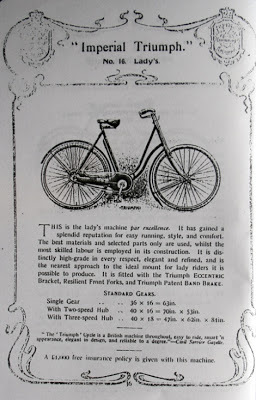 A. Prestwich (JAP) engines) and a belt drive to the rear wheel; the bicycle pedals, chain and crank were retained to start the engine and to provide auxiliary power. 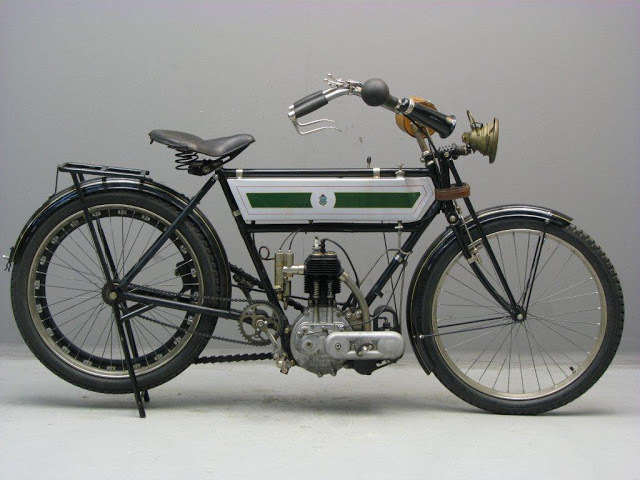 In 1903 they sold 500 motorcycles and established a second company, Orial TWN (Triumph Werke Nuremberg) in Germany to manufacture motorcycles there: a second model was released in 1904 with a 3 bhp Belgian Fafnir power plant. These powered bicycles proved an immediate success, and they soon turned to the challenge of designing their own engine. 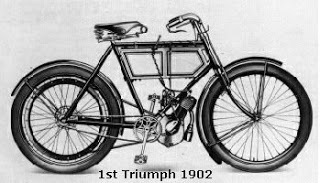 In 1905 the first all British, completely Triumph designed and built motorcycle was released. The machine was designed by Schulte and Charles Hathaway; a factory manager, enthusiastic motorcyclist and gifted engineer. The new Triumph motorcycle had a 3 bhp 363cc side-valve engine with an innovative ball bearing mounted crankshaft, alternator ignition and an optional Bosch-Simms magneto. 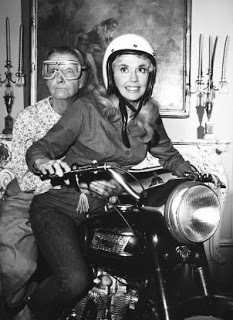 The motorcycle could cruise at 35 mph, had a top speed of 45 to 50mph and sold for £45: the company produced 250 in their first year. In 1906 Bosch came out with a new high-tension magneto which was immediately implemented as a stock fixture on the Triumph machines. The front fork was redesigned with a horizontal spring and the frame was revised to accept a newly developed 453cc engine. Production had doubled, and the company had begun a competition program; famed British motorcycle journalist Rev. Basil H. Davis, writing under the pen name ‘Ixion’, tested a prototype 1907 machine but the frame broke: he later used an upgraded 1907 single speed model to set a 6-day long-distance record covering 1279 ½ miles. In the same year Frank Hulbert won the Dashwood hill climb on a prototype 453cc Triumph – the company’s first competition success. Over the next few years Triumph continued to develop their design, carefully proving each revision. Schulte wanted to perfect his motorcycle methodically rather than blindly embracing untested technologies: the result was a more reliable machine which encouraged consumers to put their trust in the company. By 1908 the engine had a displacement of 476cc with a power output of 3.5bhp and a pulley system allowing the crankshaft to wheel ratio to be varied between 4:1 and 6:1, which increased the power on inclines as well as adding speed on the flat. To change the ratio the rider had to stop, screw the pulley in or out and adjust the length of the belt by adding or removing short segments -hardly a convenient method of adjustment- but the system nonetheless provided an edge in multiple racing environments. These modifications along with the machine’s now proven reliability and handling quickly brought success on the racing circuits. Jack Marshal won the 1908 Isle of Man TT on a Triumph and the resulting phrase “Eight Triumph’s started and eight finished” helped reinforce the company’s reputation. In 1911 Ivan Hart-Davies rode a specially equipped Triumph Roadster from Land’s End to John O’Groats (900 miles) in just 29 hours and 12 minutes; an average of 30mph., breaking the previous record by an unbelievable 4 days. 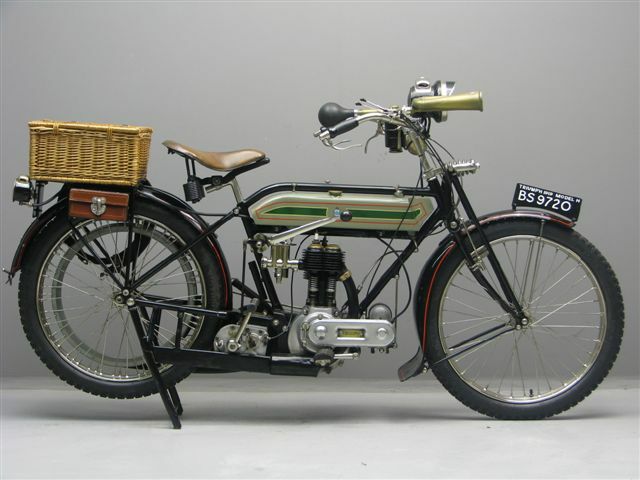 At the start of the First World War the British Government tested a number of motorcycles for use by front line dispatch riders, and Triumph submitted a new Model H with a Sturmey-Archer three-speed hand shift gearbox and a 550cc air-cooled, four stroke single cylinder engine. It also incorporated a multi-plate clutch and a kick-starter, making it the first Triumph motorcycle without pedals. The company had been using the advertising slogan “Trusty Triumph” since 1910, and despite a weakness in the front fork spring design (dispatch riders would strap a leather belt around it as a precaution) it was this motorcycle that won the nickname ‘The Trusty’ through its general reliability in extreme conditions. The motorcycle was a mainstay of the British war effort, with more than 30,000 machines produced by the end of WWI in 1918. By the time the Model H was discontinued in 1923 a total of 57,000 had rolled off the lines in Coventry. 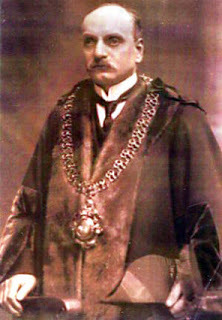 After the war Bettmann and Schulte disagreed about plans to change the company’s focus to automobile production and in 1919 Mauritz Schulte left Triumph with a ‘Golden Handshake’ of £15,000. Schulte’s successor was Col. Claude Vivian Holbrook, who had worked for the War Office as a motorcycle procurement officer. Two years after the end of hostilities in Europe Triumph unveiled their first chain drive motorcycle, the Type SD. With a capacity of 550cc the Type SD was too big to enter the Senior TT so they delivered another 500cc single cylinder engine designed by famous engineer Harry Ricardo. The ‘Riccy’, as it became known, went on to collect many world speed records including a 83.91mph “flying mile”. Despite his earlier feelings to the contrary, Bettmann purchased the former Hillman company car factory in Coventry and produced a saloon car in 1923 under the Triumph Motor Company logo. By the mid-1920s Triumph had grown into one of Britain’s leading motorcycle and car makers, with a 500,000 square foot plant capable of producing up to 30,000 motorcycles and cars each year. When the Great Depression began in 1929 Triumph sold its German subsidiary (which later became Triumph-Adler Company) and in 1932 the bicycle manufacturing facility went to Raleigh. 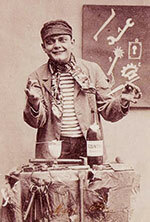 By then Triumph had been struggling financially, and Bettmann had been forced out of the job of chairman. He retired completely in 1933. 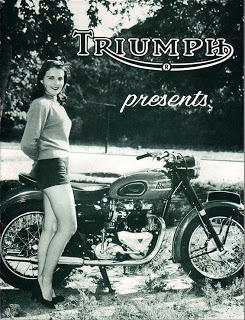 In 1936 Triumph’s automobile and motorcycle branches became separate companies. The automotive group went bankrupt in 1939 but the motorcycle operation fared better, having been acquired in 1936 by Jack Sangster who also owned the rival Ariel motorcycle company. That same year the company began its first exports to the United States, which quickly grew into the company’s single most important market. In 1939 the 500 cc Tiger T100 -capable of 100 miles per hour- was released, and then the war began. A prototype 350cc twin (the 3TW) was on the blocks and approved by the military for their standard service bike. All factory production was geared up for the armed services when the Triumph factory was completely demolished in the blitz of Coventry on the night of the 14th November 1940. Undaunted, motorcycle production was resumed in temporary facilities in Warwick while a brand new factory was built in Meriden. The new plant opened its doors in 1942. 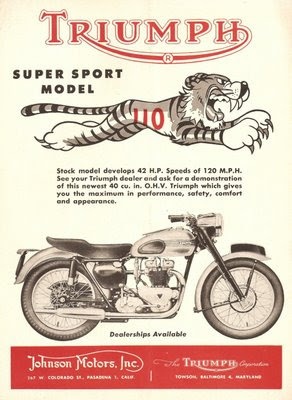 By the late ‘30s the Speed Twin (T100) had impressed the American flat track racing community, and with the end of the war Ed Turner visited the US to cement a relationship with Bill Johnson, Triumph’s West Coast distributor. The first post war Triumph models consisted of the Tiger 100 and Speed Twin, plus the smaller ‘touring’ 349cc 3T. By the end of the decade two new models had been added, the off road 500cc Trophy and the 649cc Thunderbird, both built in response to an American plea for more power and specifically designed for export. Although the 1950s started with the sale of the firm to rivals BSA, Triumph continued to be run separately and experienced a golden decade. In 1953 the 149cc OHV Terrier was released and a year later came the massively popular 199cc Tiger Cub and Tiger 110, a ‘sports’ makeover of the 649cc Thunderbird twin with swing arm rear suspension and a bigger front brake. Two years later Johnny Allen set a new world motorcycle speed record (214.5mph) on the Bonneville Salt Flats using a 649cc Triumph engine in a streamlined vehicle. 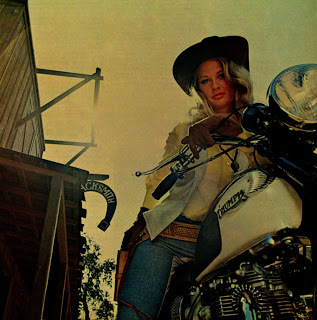 His record was rejected due to alleged timing gear problems but it inspired one of Triumph’s most famous ever motorcycles, the T120 Bonneville. 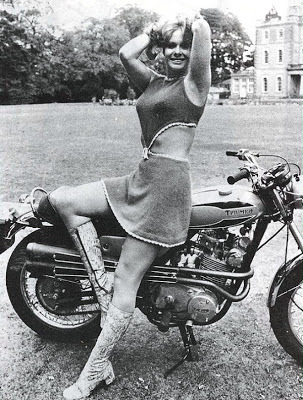 The ‘60s were to prove a fabulous decade for motorcycling in general and Triumph had a winning formula. The Bonneville was a fantastic success in both Britain and the States, and competition success at the Isle of Man TT and Daytona spawned a myriad of new models. 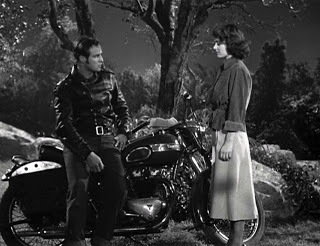 Social acceptability of motorcycles was at an all time high, and Triumph motorcycles were appearing in Hollywood alongside screen stars such as Steve McQueen and Marlon Brando. Triumph’s output peaked at around 50,000 bikes a year with about sixty percent of them exported, primarily to the USA. But rumors of a Japanese 750cc machine had become more persistent, and Harry Sturgeon (who took over from Turner in 1967) gave the go ahead for development of their own three cylinder 750cc. The design was pushed through and became the Triumph Trident (T150) and BSA Rocket Three. Despite that success the 1970s were still a disaster for Triumph: Sturgeon died three years after taking the helm and Lionel Jofeh replaced him – a man who, like Sturgeon, was on the ‘outside’ of the business. He didn’t last long and was in turn replaced by Brian Eustace. Management of the BSA group as a whole was in a state of flux, constantly changing and with no consistent strategy. 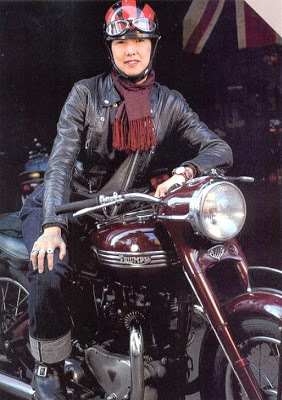 In a government sponsored move Norton-Villiers-Triumph was formed in July 1973, and against the wishes of the Triumph workforce NVT planned to move all Triumph production to the BSA factory at Small Heath, Birmingham. As a result the Meriden workers staged a sit-in that lasted almost two years: it finally ended in March 1975 when a workers’ co-operative was set up to manufacture the 750cc Bonneville, primarily for the American market. But it was too little, too late. After only 8 years the Meriden factory closed its doors and was bulldozed into rubble in 1984. When the Triumph Engineering Co Ltd went into receivership in 1983, John Bloor bought the name and manufacturing rights from the Official Receiver. The new company wasn’t able to compete with the Japanese so Bloor decided against relaunching Triumph immediately, instead continuing production of the old Bonneville under license by Racing Spares in Devon. About 14 bikes per week were built from 1983 to 1988, but due to problems with liability insurance plans to import the Harris Bonneville to the USA fell apart. During this time a new factory was built in Hinckley, Leicestershire and a range of new water cooled three and four cylinder models were quietly developed. The eventual release of the Speed Triple in 1994 caught the press and the public imagination, and in 1997 the fuel injected T595 Daytona was launched. Subsequently the fuel-injected engine was adopted to power new versions of the Tiger and Speed Triple. On March 15 2002 the factory was devastated by fire, one of the largest industrial conflagrations ever to occur in Britain. The blaze saw the complete destruction of the main stores, injection molding area, chassis and final assembly lines and left the rest of the plant heavily damaged by smoke. It took six months to rebuild, but soon after the factory reopened the four cylinder Daytona 600 supersport bike was unveiled. Spearheading a return to racing the Daytona 600 competed successfully in the British Supersports championships of 2003 and 2004 and scored a win at the Isle of Man TT at its first attempt. Other new models have followed since including the Rocket III, the first production motorcycle to break the 2-litre barrier and most recently a new Sprint ST and Speed Triple. 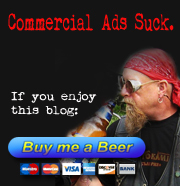 looking for girls and bikes ? 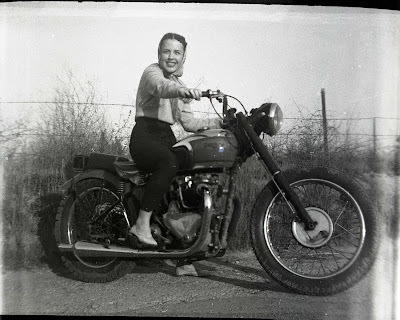 Radical Flat Twin (http://radical.flat.twin.over-blog.com), Bikes, Babes, Tatttoos and Rock’n’Roll … Enjoy ! excellent work. best page I’ve seen like this. Excellent!